Since we’ve had some excellent weather this week, G4ERO, M0BLF and M0VFC activated SOTA GM/SI-099. Like all summits on Islay, it’s a 1-pointer, but requires quite a long walk-in. 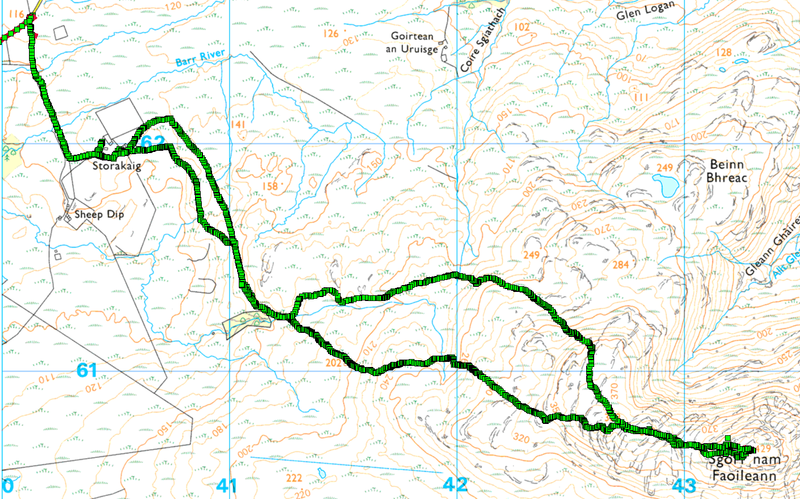 There’s no footpath most of the way, so navigation was mostly an exercise in avoiding the thickest scrub, deepest bogs, and unnecessary loss of height. 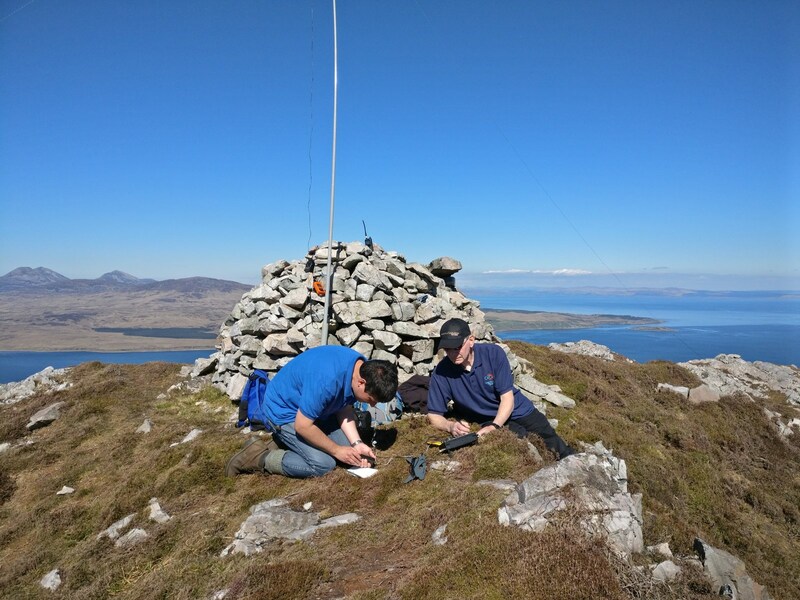 It was G4ERO’s first SOTA activation. We put up a 30m dipole, allowing us all to qualify the summit under our own calls on CW. 2m FM also got us each a QSO with GS3PYE/P back at the main station, and MM1BXF/P who was fishing nearby. 9km walking for one point wasn’t as good value as many other summits, but it’d only been activate on one date previously, so good to get it on air again. Here is a panorama of Loch Leathan M1BXF was fishing in. He caught 16 trout and put them all back, the biggest was around 11” long.